Kellie , who has gone on record espousing community democracy believes the only voices to be heard in her vision of democracy are those that agree with her . It is simply no longer acceptable for a small number of climate change struthonians to be given undue airtime to prolong their filibuster. 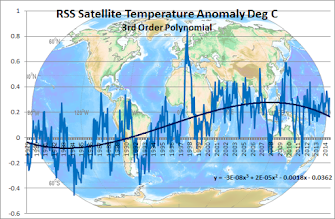 Nor should they get away with their scientifically dishonest attempts to refute climate change science by engaging in tactics such as deliberately commencing data from an El Nino year (1998) to skew results. Kellie is an elitist which you can see by the use of the word "struthonian" and says that is is up to the politicians to do what they think is best for the people regardless of what the people themselves think - Hitler and Stalin both believed in this theory of Government . The message for all of our politicians is clear: the people in whose interests you govern, whether you know it or not and whether you like it or not, need a stable climate to live, to work, to raise their families, to love and to grow old. 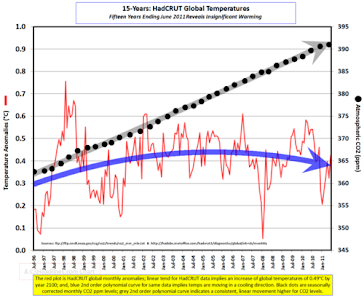 Kellie the lawyer goes on to blah blah about 800 ppm CO2 and 7 degrees temperature rises and all the predictable doomsday religion mantra even claiming scientific certainty which even the wildly alarmist IPCC has never done ! They probably needed to hire a few more lawyers to get their figures right. If you as politicians and lawmakers choose to accept the manufactured controversy promoted by a small number of naysayers and eco-backsliders, and say that the "room for debate" justifies inaction, you are failing in your duty to those you represent. Naysayers and eco-backsliders ? The last time I heard of backsliders was in childhood religious instruction so I guess it is not out of place in an enviro-religious movement. However , contrary to Kellie's ideas on censorship I think that Richard Lindzen a struthonian American atmospheric physicist and Alfred P. Sloan Professor of Meteorology at the Massachusetts Institute of Technology(arguably the top technical institution in the world) is worth listening to and he doesn't agree with the AGW scam. In Australia we have distinguished struthonian scientists like Professor Bob Carter and Dr Ian Plimer who are also non-believers and should have a voice . PS For those who aren't part of the elitist intelligentsia telling ordinary schmucks like us how to live, a struthonian is "a person like an ostrich; someone who ignores facts or reality or someone who lacks responsibility "
This is a modern weird word, used a few times after the late Arthur Koestler invented it in 1963, but now extremely rare. His aim, in an article he wrote in Encounter magazine in that year, was to describe pundits who prefer honest self-deception to ignoble truths. And Kellie and the cafe-latte set are wondering why people are turning away in droves from the Green religion- maybe pretentious articles like this have something to do with it! As a struthonian professional engineer I wonder!